So there I was, looking into PPPoE authentication, pinging servers, making sure I had all of the millions of ADSL settings correct in the router and modem. 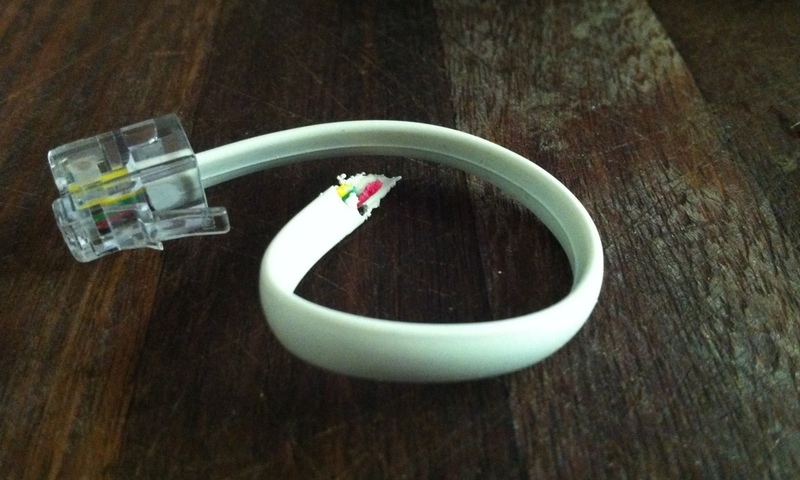 In a story that would be even too cliché to render as a Big Bang Theory episode, it turns out our internet was down due to a chewed phone cable. Our current house is pretty old, so we route a phone cable under it to reach the room with the computers. Above the house, the plugs all looked fine, but below an animal had clearly developed a taste for plastic! There are some pretty mean looking lizards around here that we've already caught chewing strange things, this could be the latest. Basic, obvious, head–against–the–wall stupid lesson learned: if your internet is down, check all of your wiring, not just the wiring you can see! I'd also like to thank TPG email support for their prompt responses and patience in light of a client who had issues that were clearly out of their control. They were a class act, and I appreciate it :).